Nuria Santamaría Wolfe says she grew up feeling like she was living in two worlds. Born in El Salvador, she moved to Los Angeles with her family at age 3. Her childhood home life was filled with Latino culture, and Spanish is her first language, but living in the U.S. immersed her in the American mainstream. She learned how to transition between the two worlds, she says, and proudly grew up with a bicultural identity. Even before graduating high school, Santamaría Wolfe knew that she wanted to pursue a career addressing the ways in which Hispanic people were underserved and underrepresented. She decided to study economics in college at Stanford and minored in Spanish, despite her fluency, to ready herself to use the language in a business context. Eventually, she worked her way up to Twitter, where she headed up multicultural strategy for the social platform, identifying the market opportunities associated with long underrepresented and growing demographics. Then, in 2015, she became a mother and saw a massive opportunity for more Latino culture in children’s media. She co-founded Encantos Media Studios with the goal of creating products to the bridge gaps between cultures. 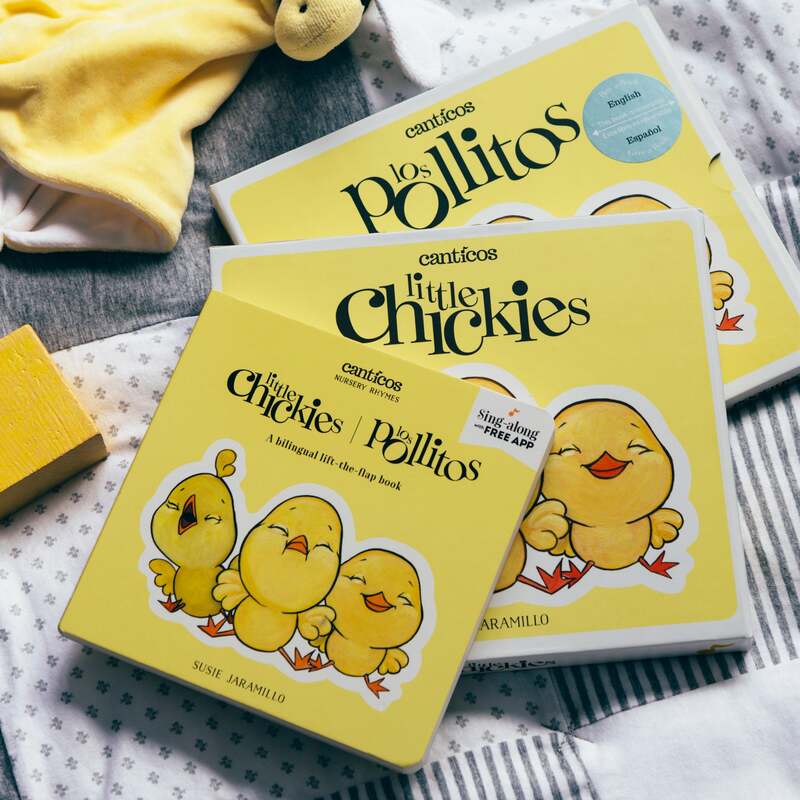 The first brand under the Encantos umbrella is Canticos, which publishes Latino nursery rhymes in books, sing-along videos and interactive app formats. Santamaría Wolfe and her team have several goals for their self-funded media startup. They founded it as a public-benefit corporation and prioritize giving -- through in-kind donations, partnerships with charitable organizations, events, educational materials for kids and parenting resources. They also want their products to appeal to more than just Latino families. The long-term plan is to create content for a range of cultures. For instance, Canticos stories, Santamaría Wolfe explains, are meant to make Latinos feel proud to see their culture represented, and give non-Latino parents an opportunity to expose their kids to diverse and bilingual content. But the mass appeal the company had worked to cultivate would be much more powerful as a mass-market scale. Not to mention, financial growth would allow the public-benefit corporation to better fulfill its social mission. As partnership opportunities have arisen with big players such as Target, Nickelodeon and Burt’s Bees, Encantos has worked to deliver new products quickly by leveraging existing smaller partnerships and in-house talent, when possible. Here’s how Encantos has stayed lean despite the demands of new distributors. Target and Encantos began talks due to the retailer’s hunger for more bilingual children’s books. When Encantos first met with Target, it had four book titles out in market at the time. The problem was, they were not mass-market friendly and featured details such as a slip-cover and accordion-like expansion that made them more suited for boutique book stores. Encantos anticipated Target would want a smaller, pared-down version -- the existing one wouldn’t fit on its shelves -- and brought a mock of a simpler version to the meeting. The companies worked together to retain the authenticity of the stories and the interactivity of the products that Encantos has prioritized from the day it was founded. The original, novelty design of Canticos books has a slipcover and folds out in an accordion style. This format is better suited for boutique bookstores than mass-market distribution. The challenge, however, was that Target wanted the new version of the books in a matter of three months, while Encantos had slated production for them a year out. Despite the magnitude of this deal, Encantos used its existing resources to handle it. The company called up its printer, a fellow startup, and explained the situation. The printer fast-tracked the process, and Encantos made Target’s deadline. This fall, Encantos has entered into another large partnership, with Nickelodeon. It had already been creating animated content for its own YouTube channel, which has more than 117,000 subscribers -- its singalong videos contain animated versions of the artwork in Canticos nursery rhyme books. Again, the company faced an aggressive timeline: The new content is slated to debut in spring 2018. In this case, Encantos made the decision to call upon new help for aspects such as storyboarding and post-production, hiring an animation studio. That said, Encantos relies heavily on its diversely talented in-house team. For example, the company’s art director for Canticos books also designs the website and will soon work on additional consumer products Encantos and Nickelodeon has in the works, such as children’s bedding. Encantos’ CTO has a music background and consults on lyrics and translations, but the company’s production work happens externally. She also notes that, when possible, companies seeking rapid growth should also look for jacks of all trades when hiring external talent as well, rather than seeking several one-off freelancers to build relationships with. Canticos books appeared on shelves of 400 Target stores in October 2017 after the three-month turnaround earlier this year. Encantos sells its books across the U.S. as well as in Europe, Asia and Latin America. It recently added Costco Puerto Rico as a distributor. Encantos and Target worked together to design a smaller, board format for Canticos books (top). The revamped format features the book's title in two languages on the cover, rather than being reversible like the boutique version is. The company will grow its digital reach from to 2.6 million when it hits Nickelodeon’s platforms this spring. The studio that will have made this possible is based in Canada, and Santamaría Wolfe explains that this was a strategic move: Canada offers tax credits for animation work, which is saving Encantos money -- money that it can allocate to public-benefit efforts. When trying to decide whether to complete a project internally or with external help, companies should ask themselves what the costs of each option are, says Amy Blitz, a lecturer at Babson College who has led organizational research at IBM, McKinsey and other institutions throughout her career. “A company might decide it wants to do something in-house if it decides that type of project is core enough to its strategy going forward that it needs to develop those kinds of capabilities,” Blitz says. She cites Apple’s move into retail in the early 2000s as an example. The tech giant determined it would be beneficial to operate its own stores, rather than leave the sales of its products to third parties such as Best Buy. Similarly, Netflix and Amazon have been producing their own TV content, as well as streaming licensed works. Companies should have insights into whether their direct competitors are building vs. buying certain aspects of their business, but know the same strategy may be right applicable for any number of reasons. A company that takes on a new project in-house may have to dial down efforts in another area. Because of this, Blitz says, it’s important that a company knows where it wants to focus -- and plan ahead. Other costs may involve managing the group that is completing the project, whether it's longstanding employees or a freelancer or agency. Although outsourcing allows more flexibility for companies that don’t need certain capabilities on a constant or regular basis, the tradeoff is building rapport and trust. Terms of a partnership such as each party’s ownership and responsibilities inevitably come into play. Partnerships of any size have a bearing on a company’s branding and its employees’, customers’ and suppliers’ perceptions of its values, and opening the wrong door can cause others to close.